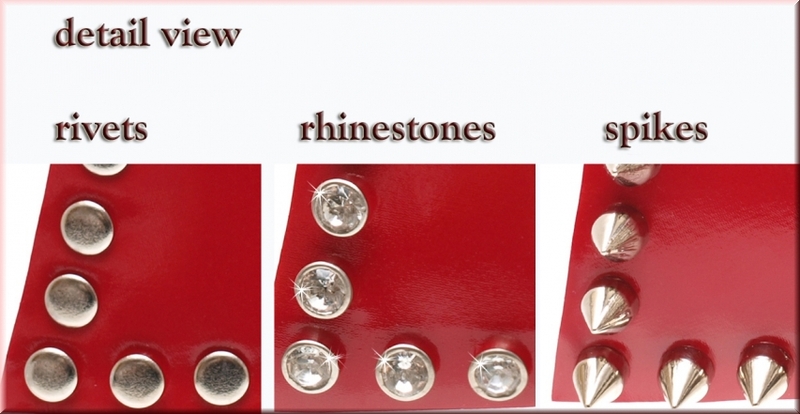 Precious decorated earrings, selectable with rivets, rhinestone rivets or spikes. The earrings are 9 cm (appr. 3,54 inches) long and 1,3 cm (appr. 0,51 inches) wide. The earrings are made of silver, nickel-free metall. We produce the earrings after your order in our own in a usual high quality.